Why shouldn’t you buy your engagement ring on DiamondWave in 48 words? DiamondWave does not allow a wide educational section; very small number of positive reviews and no attractive funding options makes your life a bit hard with following your intuition on your favorite diamond engagement ring search! DiamondWave does not make you say “wow” while looking for your ring! Why should you buy your engagement ring on DiamondWave in 50 words? DiamondWave is a real family business, located on the 5th avenue and available online. In my opinion, the option of walking into a store even if exist only in your mind (if you are not a New Yorker), is always good. In addition, DiamondWave is easy to view and navigate! DiamondWave has been doing business in this industry for over 70 years. The online website established on 2008. All 14k &18k settings are made in the USA. The head office is located in Fifth Avenue, New York City, NY, USA. DiamondWave Full Review- Is My Lifetime Ring Right There? The DiamondWave online jewelry shop is a 2006 New York, founded company, held by some very trained and knowledgeable employees, alongside the top of the edge manufacturers that have been teamed up to make the ultimate diamond purchase experience. DiamondWave is a family owned company, which insists on giving each customer a private attention, professional and visual help, in order to make an appropriate decision. The DiamondWave return policy is one of the greatest I have seen with an absolutely long time for refunds, and a 10 year trade in guarantee. 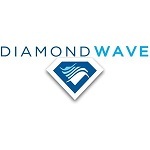 DiamondWave is a family business that has been working for over 70 years! DiamondWave went online on 2006, and is registered with customer care authorities like BBB; it appears to me, that DiamondWave is not a fraud! DiamondWave customer complaints are not easy to find. This 5th Avenue shop that went online seems to be honest and careful with their clients! Let us not forget, that with such a little amount of reviews, it is difficult to estimate the real complaints. DiamondWave is definitely a legit engagement ring store, showing some reasonable prices, create your own options and a large audience of customers. We surly recommend on visiting! I find DiamondWave very friendly, starting the landing page, the sale offers, the options of making a decision by viewing engagement rings or by making one of your own, along with presenting the company’s main customer regulations for returns, shipping and trade in. Very friendly. DiamondWave offers a vast variety of engagement rings; aside from those you will find some more jewelries and gifts for him and her and of course an endless possibility of building your own diamond ring with settings and everything. A payment is available with all major credit cards, PayPal or bank wire, the last allows a 1.5% discount if not using any promo coupon. Shipping is free with and will be shipped anywhere in the world FedEx go. Here are the two bold topics: one- 10 year trade in for a greater value (does not have to be doubled valued) as seen before. 2- 45 days money back guarantee is applied upon any purchase.